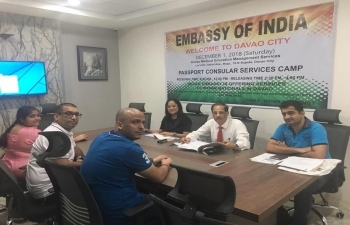 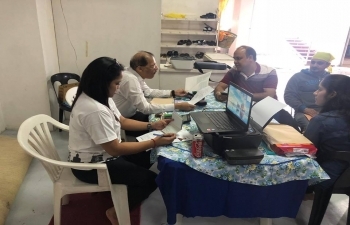 Ongoing Consular Camp by the Embassy of India in Davao City.Indian students and other members of the Indian community have gathered in large numbers to benefit from the consular services. 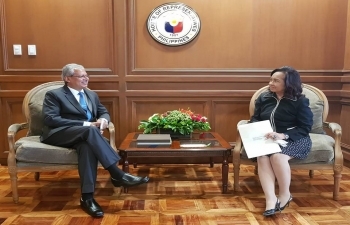 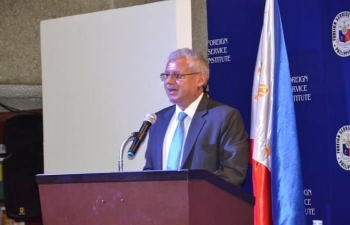 Ambassador Jaideep Mazumdar addressed the Foreign Service Institute, an autonomous think tank under the DFA of the Philippines. 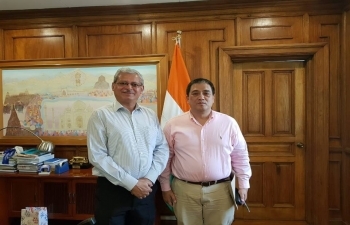 Senior diplomats and defence ministry officers had a lively interaction on Indo Pacific, Act East Policy and regional issues. 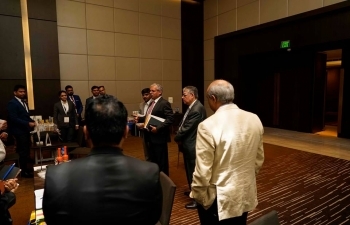 The 5th India Business Forum (IBF) meeting was held on 25 Oct 2018 under the Presidency of new President Mr. Pushkar Mishra. 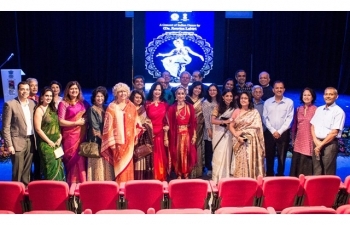 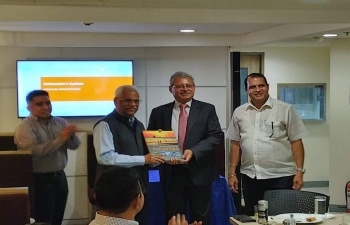 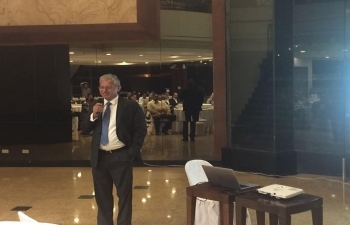 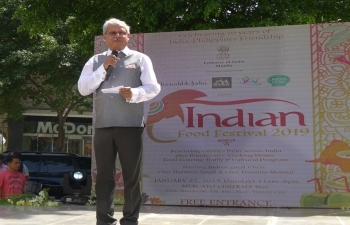 Mr. Mishra welcomed the members and thanked Ambassador Jaideep Mazumdar and DOF Undersecretary Karl Kendrich Chua for gracing the occasion. 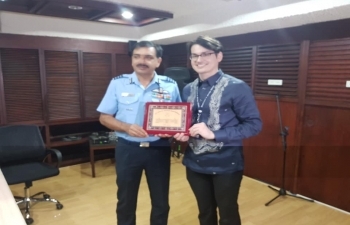 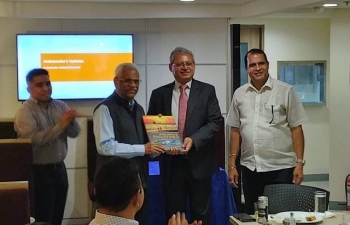 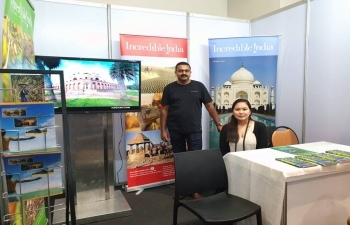 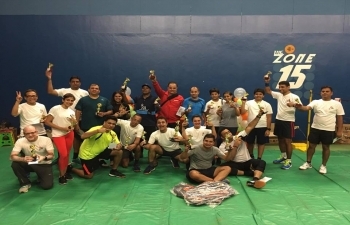 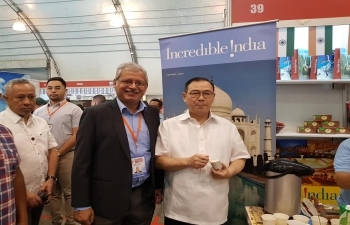 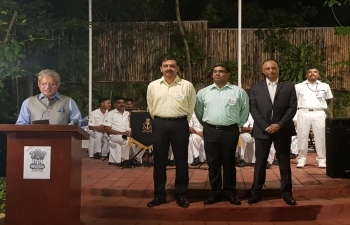 A 21 member delegation from the College of Defense Management, India is on a visit to the Philippines from 22-26 October 2018 as a part of the International Strategic Management tour of the higher defense mangement course -14.As a part of the tour, the delegation will be visiting different arms of the Philippines forces, Department of Foreign Affairs(DFA) in Manila and Palawan.The photos below are from their session with the DFA on 24 October 2018. 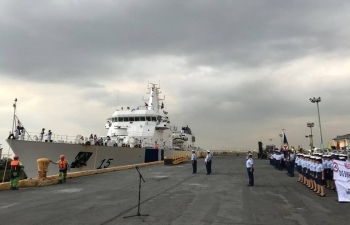 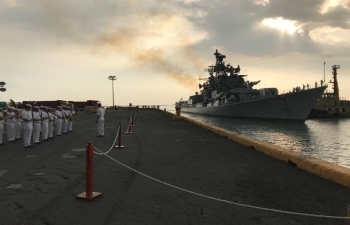 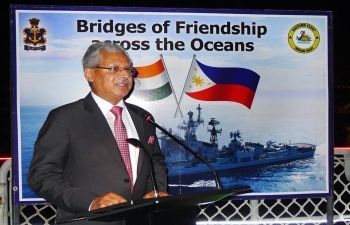 Ambassador Jaideep Mazumdar and Commanding Officer of INS Rana, Captain Atul Deswal jointly hosted a Reception on-board the visiting Indian Navy Destroyer, INS Rana on 24 October 2018 at Pier 15, South Harbour, Manila. 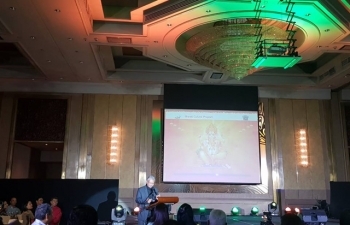 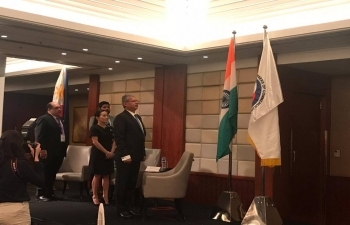 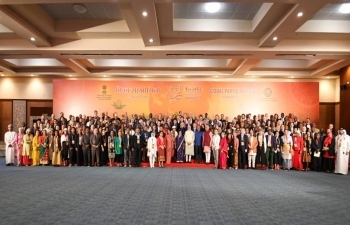 Ambassadors from various countries, other members of the diplomatic community, Defence Attaches, senior representatives from Department of National Defense, Department of Foreign Affairs and Armed Forces of the Philippines, representatives from media and distinguished members of the Indian community attended the event. 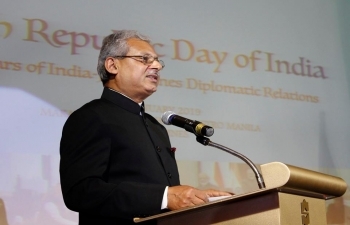 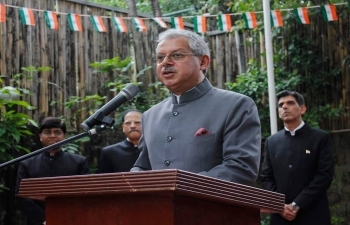 Ambassador Mazumdar and Mrs. Parvati C. Mazumdar hosted a dinner at India House to celebrate the Diwali Season and on the occasion of the visit of the Indian Navy Destroyer, INS RANA and the Delegation from College of Defence Management of India. 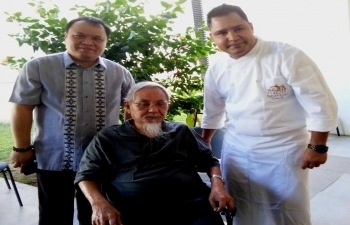 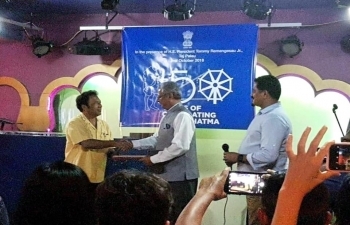 President of Palau Tommy E. Remegasau Jr and Ambassador of India Jaideep Mazumdar jointly hosted Mahatma Gandhi’s 150th Birth Anniversary celebrations in Palau. 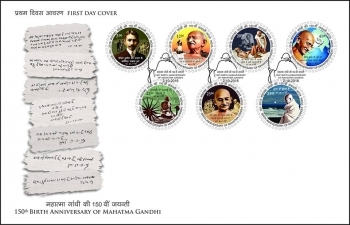 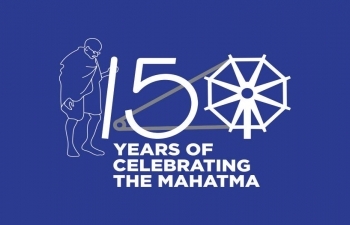 150th birth anniversary of Mahatma Gandhi.